The Freedom Boat Club is being recognized for meeting the American National Standard for On-Water Recreational Boating Skills Standard – POWER. Freedom Boat Club has 16,000 members in their community. This is Freedom Boat Club’s first course to receive this voluntary third-party verification for an on-water powerboating course based on the American National Standard for recreational boating skills. 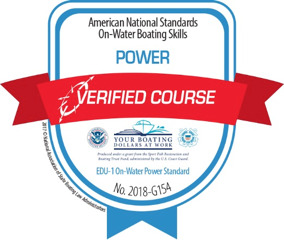 The organization's on-water powerboating course, “Freedom Boat Club Member Training,” has been verified to meet the American National Standard for on-water skills entitled EDU-1 On-Water Power Standards and has received the Verified Course Power mark. Recognized by the American National Standards Institute (ANSI) as American National Standards, the On-Water Power, On-Water Sailing, and On-Water Human-Propelled standards identify fundamental skills that entry-level recreational boat operators should be able to demonstrate after receiving instruction. The National Association of State Boating Law Administrators is recognized by the United States Coast Guard as an official national entity to serve as a third-party independent reviewer to verify power and motorized sail boating courses against the American National Standards for On-Water Recreational Boating Skills. For more information about the process, please visit the Verified Course page. Those interested in applying for the no-cost verification process should contact NASBLA before December 31, 2018 at Verifiedcourse@nasbla.org. 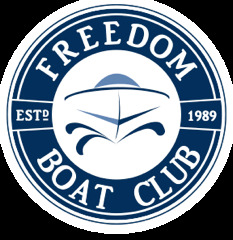 To read more about Freedom Boat Club please visit their website.